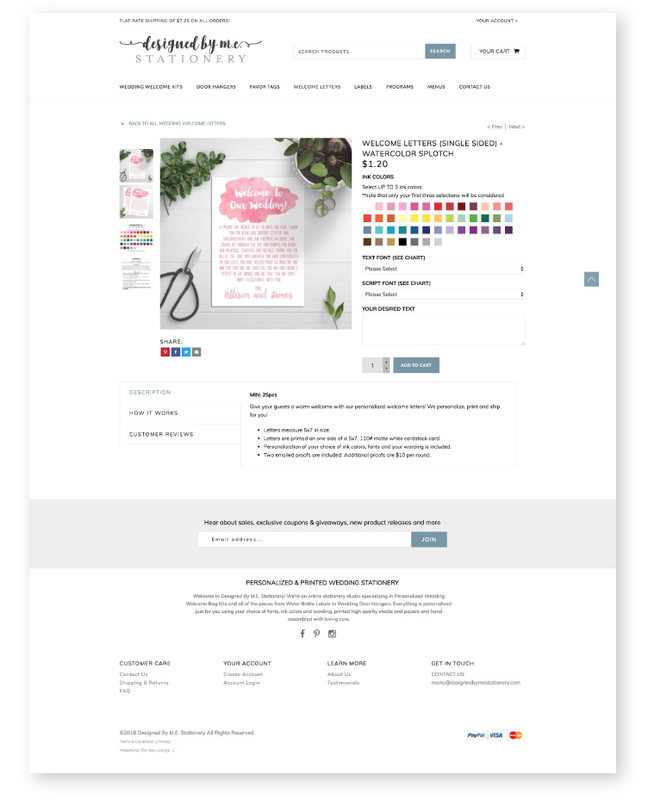 Already a success on Etsy, Maria approached me to help her create a Shopify site that would support her brand. Designed by M.E. offers a wide variety of custom stationary which required careful planning. Combining custom solutions + utilizing third-party apps, we created product pages where her customers could easily and quickly customize their selections.